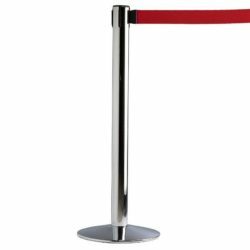 A MUST HAVE STANCHION WITH ESSENTIAL FEATURES Powder coated heavy base of over 17 lbs is rust – resistant and matches the poles finish, protects floor and improves stability. Made of durable, long – lasting aluminum. Built-in 4-way adaptor allowing alternative configurations. Simple yet ergonomic design with chrome finish and black belt suits any dcor. Built-in locking mechanism preventing the belt being accidentally released Easy-to-assemble, easy-to-disassemble, easy-to-store, easy-to-transport. Taller than most competitor’s products with its 37″ height. Customizable with its printable tape (in size of 1 5/8 Ò x 106 5/16″) allowing you to display your logo or advertising message to showcase your brand. All retractable stanchions look similar functioning in the same way. However, there are various brands with various specifications, qualities, safety and price levels. 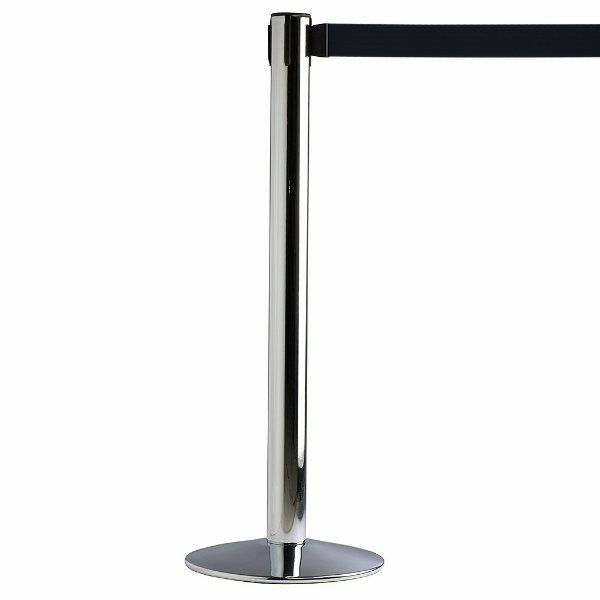 Displaysmarket.com provides various stanchion systems and a complete product line of crowd control system including Premium Q belts, ropes and belts. 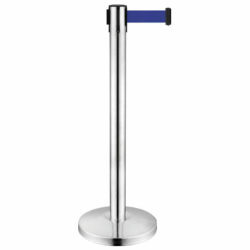 This stanchion is a product in our economy series suitable for locations in need of many crowd control posts. 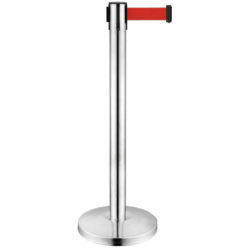 We offer the finest quality for an economical price with this crowd control post providing the key safety feature. 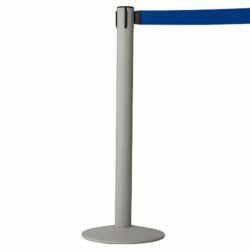 A functional, low cost solution for keeping crowds under control and forming customer queues. Very pleased with the quality of the stanchions. Sturdy and nice finish. Was used for a non-profit sale that needed definited lines.